Hidden amongst the lush greenery of the ANU campus are echidnas, wombats, possums, sugar gliders, wallabies and even the odd platypus. 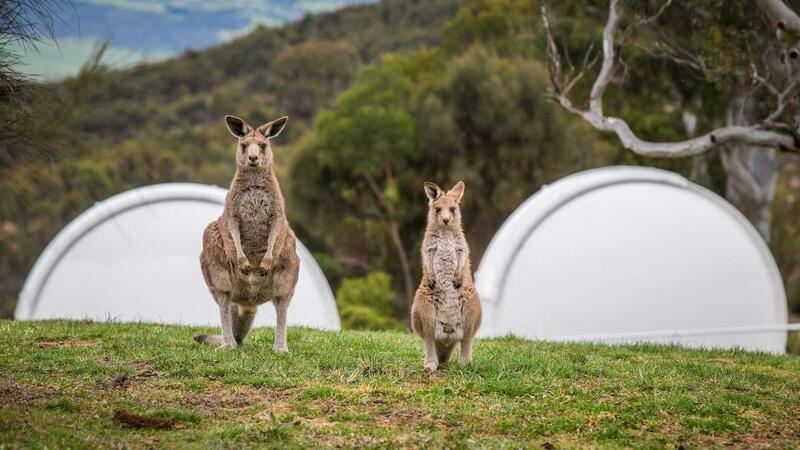 Despite being in the middle of Canberra, the campus is surprisingly diverse, supporting more than 106 native animals. The 145-hectare campus also contains 10,000 trees, including a couple of patches of the nationally endangered Box Gum Grassy woodland. More than 11 native mammal species have been found at ANU including two bats with special conservation status. Sullivans Creek, which runs through the campus, supports native fauna including eastern water dragons, long necked turtles, frogs and the native water rat. It is partly luck and partly by design that the ANU campus supports so much wildlife. At the apex of a habitat triangle, ANU has Lake Burley Griffin on one side and Black Mountain on the other. “The proximity to the Black Mountain reserve helps to draw animals in,” says Darren Le Roux, Ecology PhD student at ANU. The campus is also attractive to animals because it has many large old trees, some of which are several hundred years old. ANU Garden and Grounds staff actively maintain the park-like landscape using innovative landscaping techniques to retain old trees. These large old trees are important for providing hollows for birds, bats and possums. Nearly 100 hundred birds have been found on campus, including three threatened species. “You often see Gang-gang Cockatoos in the large old Eucalyptus smithii tree outside the Fenner School,” says Mr Le Roux. “Big old trees, dead branches and hollows are prime animal habitat but they are often removed for safety reasons,” Mr Le Roux says. By fencing off old trees or planting grasses underneath them, ANU Garden and Grounds staff create a clear barrier to prevent people from walking underneath old trees. These landscaping techniques help retain habitat on campus, ensuring a diverse wildlife population. Published in ANU News, 31 December 2014.